My Twitter friend Kelly has been on the ketogenic diet for almost a year now and has had some good results so far! 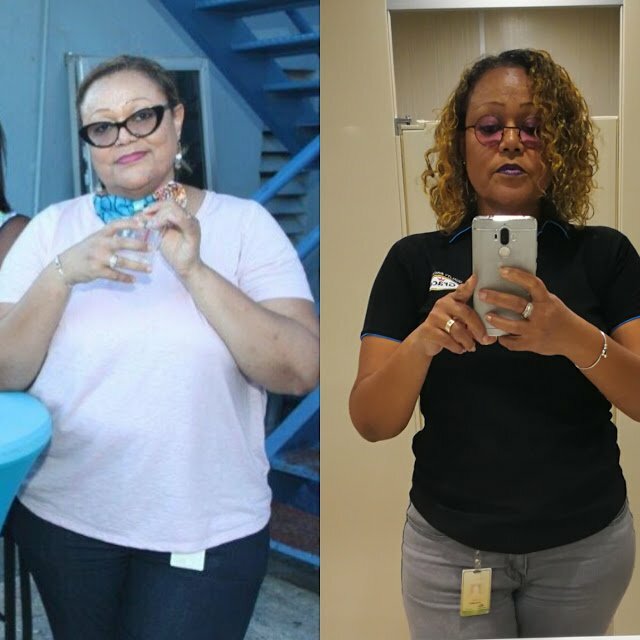 The below is her story and two of her favourite easy keto recipes. What I love most about her keto diet results is her resilience. She stuck with the diet for one whole year so far, even when it was slow going in the beginning. I love that she’s been able to do this successfully in Jamaica using some of the recipes we all know and love too. I follow her on Instagram and have watched her transform her local faves like curry goat, stew chicken and ackee and saltfish into great keto friendly dishes so she’s still eating the food that she loves. I’ll let Kelly tell you about her progress so far. Eating Keto is Easier Than You Think! I’ve been eating low-carb since the end of August 2017. And it has not been as hard as some people think it is. In a nutshell, I eat high protein, high fat and very low-carb. People who adhere to a ketogenic diet consume 20g or less of carbohydrates per day. They don’t necessarily count calories. People who adhere to a low-carb diet consume 100g or less of carbs per day. For context, a slice of whole wheat bread has on average 15g carbs. A cup of cooked rice has on average 45g carbs. Pasta is similar to rice. Basically what I’ve done is to continue preparing the standard animal-based protein dishes that I normally would, omit the carbohydrate portion of the meal (so no rice and peas, or mac and cheese or potatoes), and amp up the veggies. So I’d prepare a salad for example, along with some sort of cooked vegetable dish. The salad is typically lettuce, cucumber, tomato and onions. The cooked veg could be callaloo (like spinach. Callaloo is common in the West Indies) or stir-fried cabbage or steamed cho-cho (chayote) or roasted veggies. I missed rice while eating keto. Badly. But I discovered a substitute that most low-carbers use to simulate the mouth-feel of rice in their rice plans: Cauliflower rice! 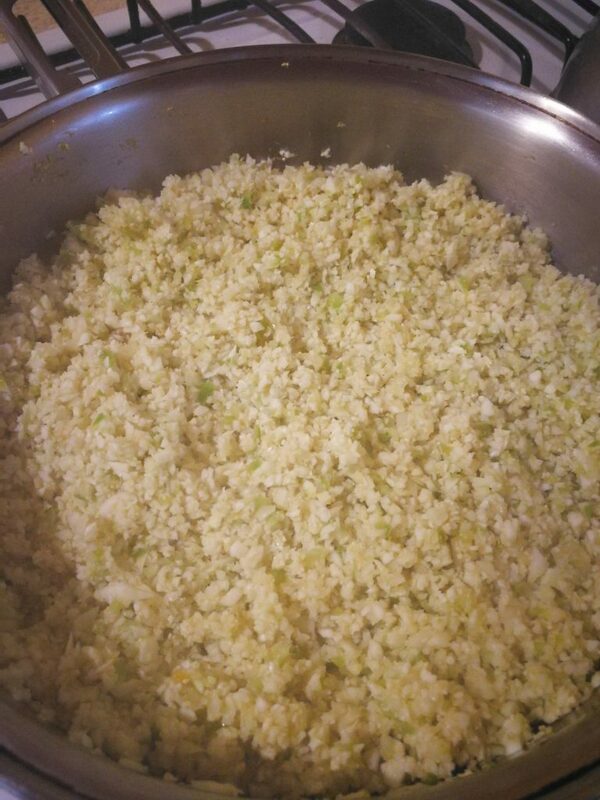 In fact, we create a “cauliflower mash” that is a great substitute for mashed potatoes, we make a “cauliflower salad” that substitutes for potato salad, and of course, there’s cauliflower rice. Cauliflower makes for some great low carb swaps. It’s simple and easy to make, and once you master it, you’ll find that adhering to a low-carb or ketogenic diet is no longer as intimidating as it seems when you imagine NO RICE! Pulse all the ingredients except the oil and salt in your food processor for 30 seconds. Alternatively, you can finely chop by hand with a sharp knife. Heat the oil in a frying pan. When hot, simply add what you chopped up in the food processor to the frying pan. Stir-fry for 2 minutes. Add salt/seasoning salt. Stir-fry for another minute or two until just tender. Voila: rice! You can add egg or veggies or shrimp or chicken to this basic recipe to create one-pot meals that are delicious, simple, convenient and totally low carb. When eating keto, I try to avoid sweets. Simple. But there are times when I feel for dessert that won’t sabotage me on my way to my goals. There are a plethora of low carb dessert recipes that one can access with a simple Google search. 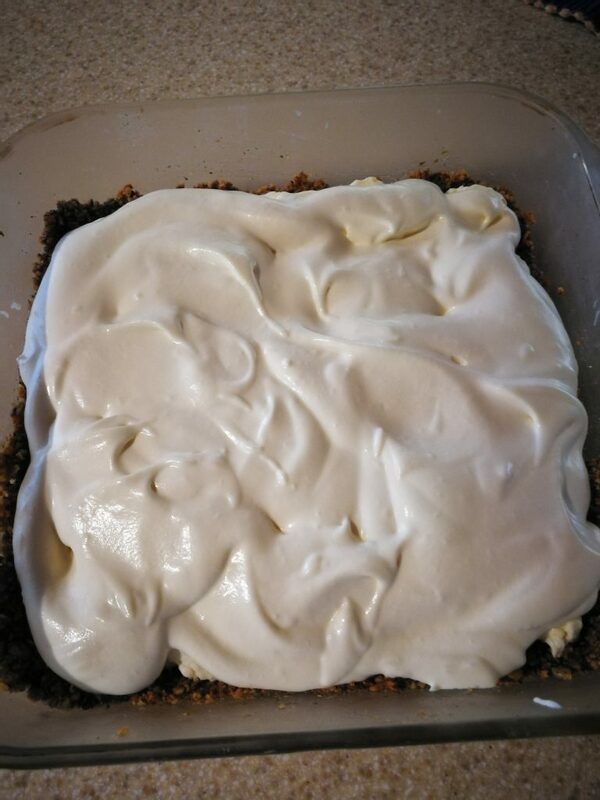 One of my favourite desserts is a no-bake, low-carb cheesecake. It’s simple, low carb and delicious. Here’s how you make it. Lightly toast the mixed nuts and seeds in a toaster oven. Melt butter in microwave. Pulse toasted nuts and seeds in food processor. Alternatively, you can put them in a large Ziploc bag and crush them with a rolling pin or quart bottle. Combine nut/seed crumble, butter and sweetener in a pie dish. Mix well, then press to coat bottom of the dish and come up along the sides as far as possible. 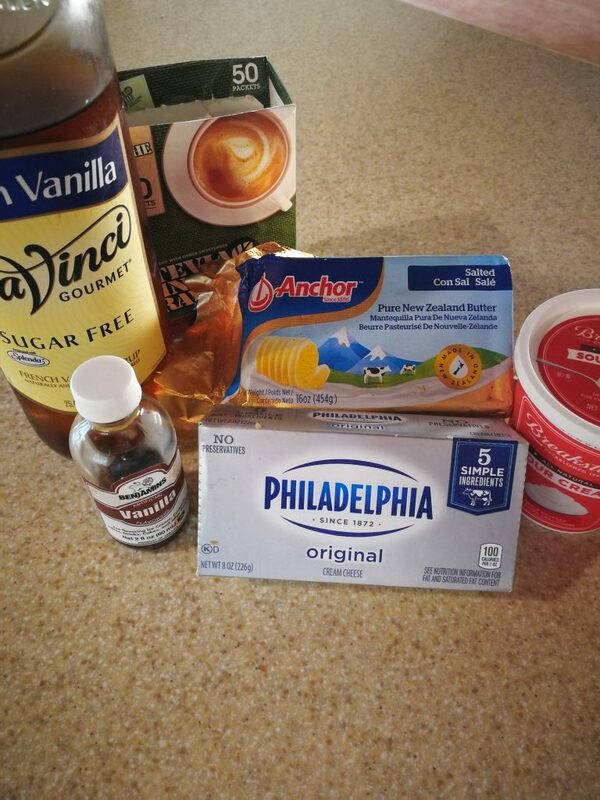 Combine all the ingredients and mix with a hand mixer until smooth and creamy. Spread in crust-lined pie dish. Refrigerate for 1 hour. Using a hand mixer, whip all the above ingredients until peaks form. Spread on the now set cream cheese filling in the nut/seed pie crust and refrigerate for at least one hour before enjoying. That’s it! This is a low carb, but calorie dense treat. I only make this every couple of months on special occasions. Low-carbers and non low-carbers always enjoy this treat! With a little planning and research, committing to a ketogenic lifestyle is very doable. It’s possible with some effort to find ways to remain compliant without being deprived. It has been working for me, and I hope it works for you too. This is Kelly! Here she is in what she calls her before and during. You can read more about her keto diet story here. 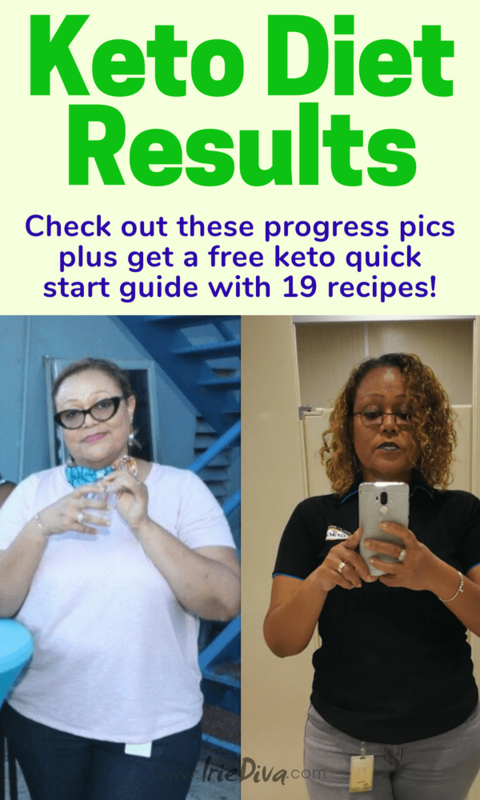 Thanks to Kelly for sharing these easy keto recipes and her success so far. I have a major sweet tooth so I especially like the cheesecake recipe as I will miss sweets more than I will miss rice. Speaking of rice, I tried to make cauliflower rice just last week and while it came out just fine, the flavour wasn’t to my liking. 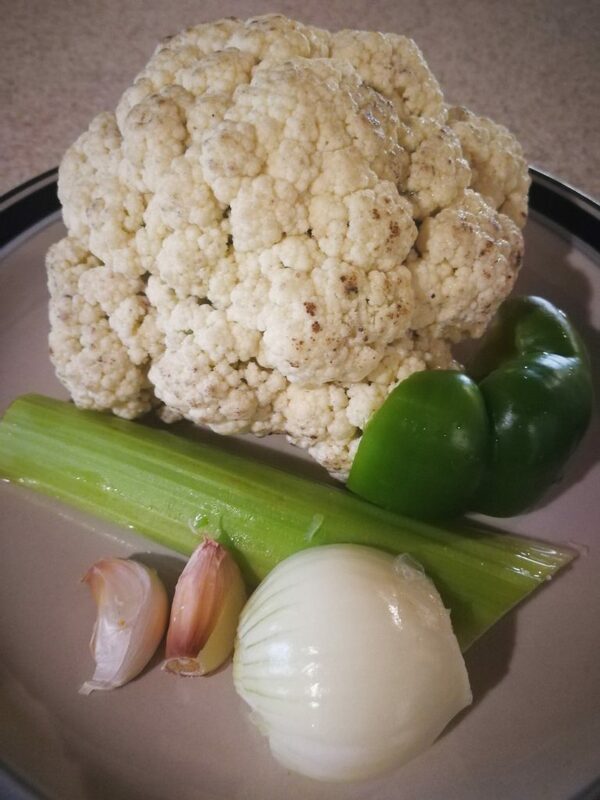 I will try Kelly’s recipe with the garlic, celery and additional seasonings in hope that I will get to love cauliflower rice more because it is such a staple on a keto diet. As I was reading Kelly’s story on her blog, she mentions having lost weight before by simply eliminating carbs. I am the same, when I Want to lose weight I eliminate carbs for a quick win and I am usually successful enough however I have never tried it for the long haul. The ketogenic diet restricts carbs almost entirely, even fruits! I have been gearing up to try the diet myself because if you research it you will see that the science behind the keto diet is pretty amazing and losing weight is just one of the many health benefits of the diet. 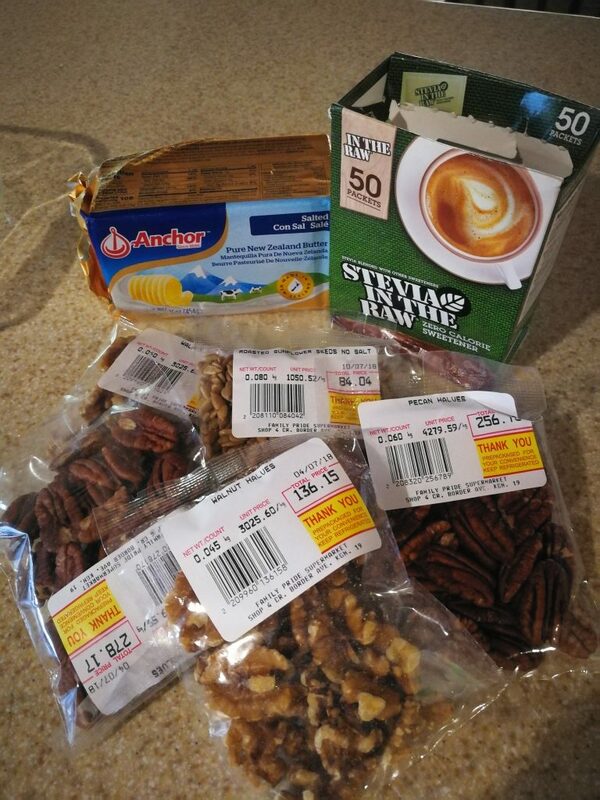 Like Kelly says, planning ahead and being prepared is key to the keto diet’s success. It’s key to anything really, without a plan we’re likely to fail at achieving our goals. Want to know what the keto diet is? Grab my free keto quick start guide below. It’s a pretty comprehensive keto FAQ that answers all your keto questions plus gives you tips on how to start and what to avoid. Bonus, it comes with 19 keto recipes!